The Bible says without faith it’s impossible to please God. In order to believe in God, there must be faith. We do not see Him the way we see people. Faith is the substance of things hoped for and the evidence of things not seen (Hebrews 11:1). Once we believe in God, I truly believe that’s just the beginning of the journey. The walk with God also includes believing God is who He says He is and will do everything He says He will do. There’s faith required to believe what He says in His word about us, about the future, and so much more. It’s easy to talk about faith. It requires much more to live out our faith. Faith requires us to do something. 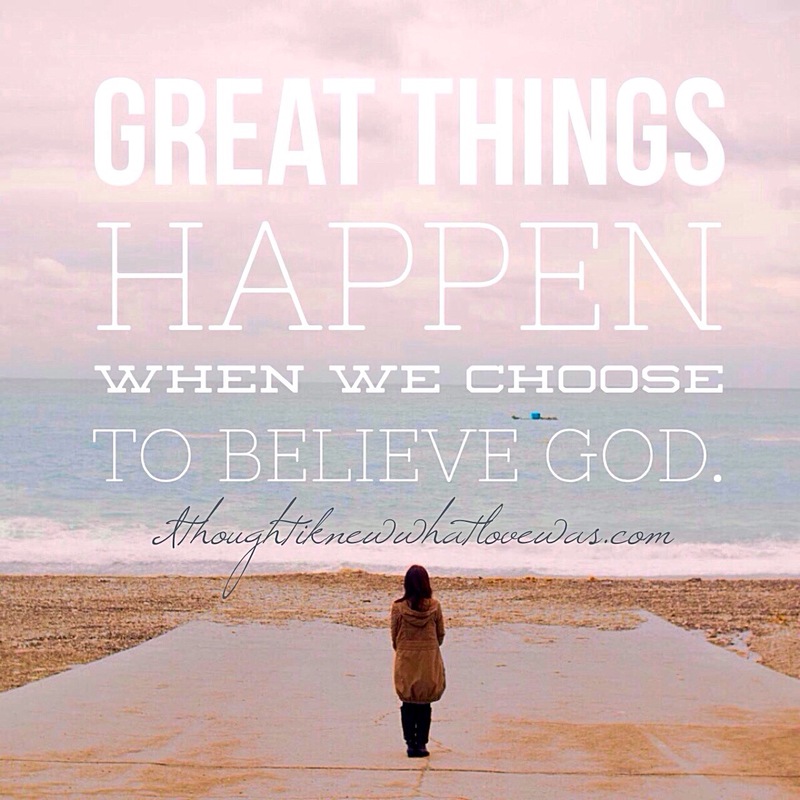 When we believe God, we live differently. We experience peace and joy. We cease worrying. God loves to show up in the lives of those who believe. God loves it when we place confidence in Him. Fear is one of the many things that comes to choke out faith. It’s a belief that something or someone is more powerful than God. Fear is misplaced faith. The Bible tells us to not be afraid because God knows we will be afraid. The more we experience His love, the more confidence we have in His ability to do what He says, including protect us. Hope this book excerpt from I Thought I Knew What Love Was blesses you. where the heart, mind, and the spirit battle for who will win. to a place of no hope and no peace. the place between faith and fear. will all connected parts line up and take the leap? but I will trust that God is real. which one will decide our fate? and leaves nothing good to be seen. nor turn away from any promise He has made.